For some Spokane-area teenagers, what started out as a class assignment may turn into a paycheck, as they work to launch a game they've created over the past year. What's a product you could make without spending any money? Or at least without spending much money. They scoured Kickstarter and Indiegogo to see what was already out there, what performed well and didn't, and then teamed up to create something new. By the end of the semester, most of the class had rallied emotional support around one team, which created a dragon-themed card game that was simple enough to teach a 7-year-old in a few minutes, and fun enough to play over and over again. They asked some artistic students to get involved in the card design, and That Dragon Card Game was born. 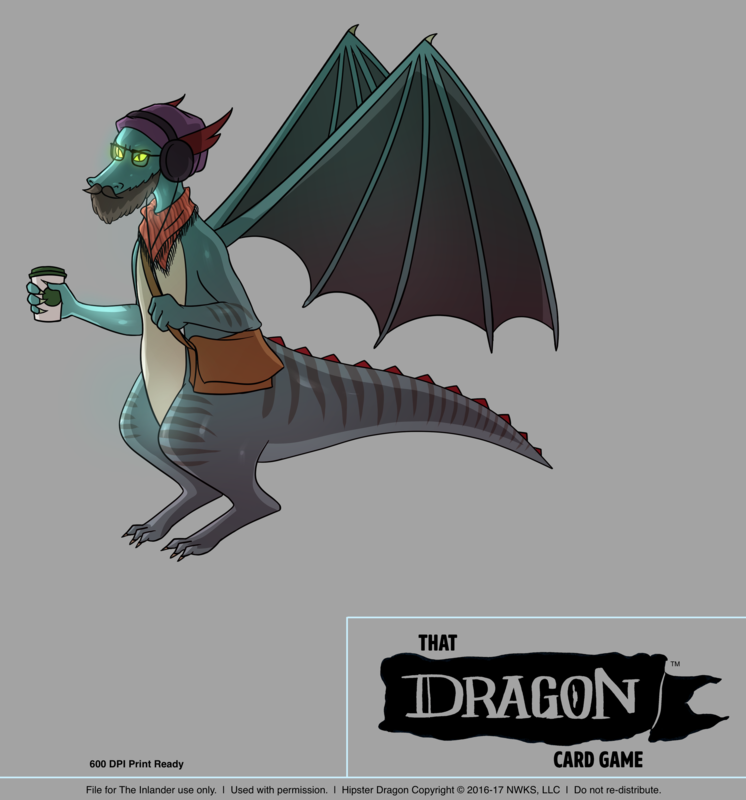 Hipster Dragon is one of the options for game play in That Dragon Card Game, created by local teens. 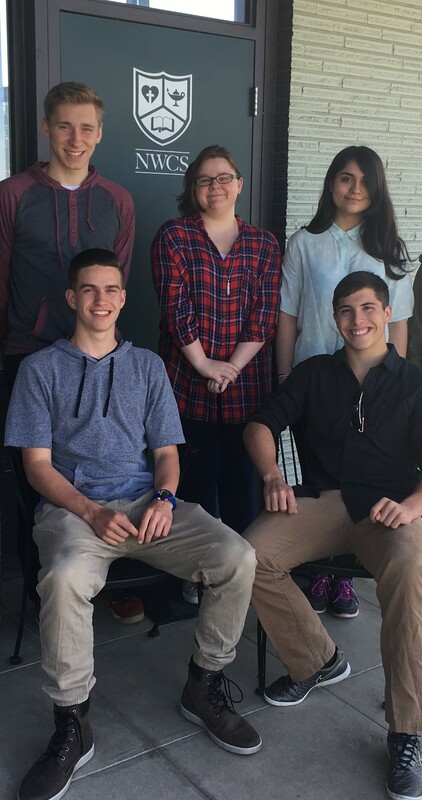 Now, nearly a year later, while some of the students have moved on to community college and a few are still finishing high school, the team is looking to reach its first funding goals on Kickstarter. They've almost hit their initial goal of $10,000 for the campaign, which is scheduled to last through Nov. 16. After that, they can meet stretch goals to help make the game even cooler. They've also had some exciting developments: on Thursday, Nov. 2, a coast-to-coast toy store expressed interest in distributing the game and bundled expansion packs in more than 25 locations and online. Drew is working with a toy buyer on drawing up that agreement. 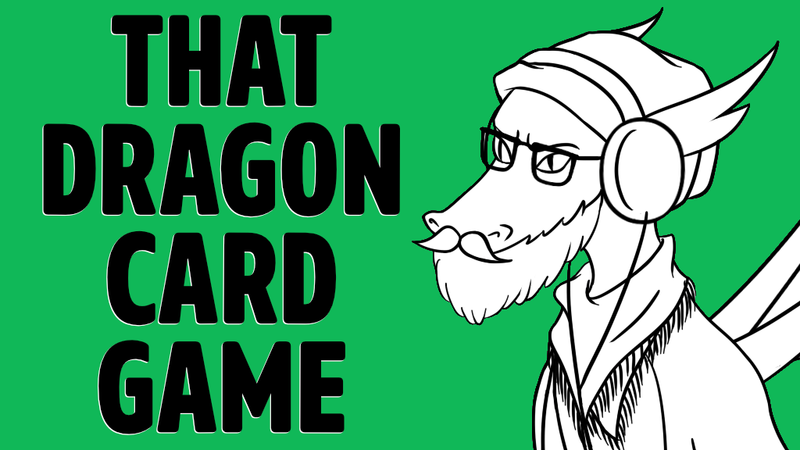 For game play, each player gets a dragon of their own — maybe a hipster dragon decked out in headphones and a scarf, or a ballerina dragon wearing a tutu, or a tie-wearing dragon with the wavy locks of the 45th President of the United States. Players battle each other as they try to get the right combination of cards to complete their dragon's needs — breath, scales, and one special thing. "Some of the card games, like Pokémon, are really difficult, and more complicated," says Micah Erdman, a senior at Northwest Christian and part of the original team of guys who came up with the concept for the game. "This one is simpler, and fun for younger kids, but also for others. It's fun for all age groups." Creating the game and then trying to carry it forward to actual production has been a good learning experience, Erdman says. "Just learning how to work with other people, because a lot of times it’s not necessarily as easy to work alongside people as it is to follow them," Erdman says. "It taught me to work alongside them, and help lead instead of follow." Drew says he's been able to dedicate more time to the project recently after he was let go due to budget cuts at the end of last school year. But he's wasted no time on shifting his focus to both getting this project rolling and working on a more permanent workspace that can foster innovation and entrepreneurship for teens. "The concept really was to try and teach students how to find a niche in the market and maybe create their own job," Drew says, "something they’d be passionate about doing from waking up until bed." Now, he hopes to encourage even more students: he's working on leasing a space off Garland to help get video game development off and running for current and former students (Drew also taught video game design). One of the first projects could be creating a video game version of That Dragon Card Game, he says. "They're at the beginning of their life, and I want them to have the positive experience of having something go right and work out, and give them motivation to do something else on their own," Drew says. "I want them to represent their talents and not undersell their work. They're talented." Eventually, he hopes that through that workspace, the students could build up portfolios that may land them jobs at bigger companies — think Disney, Pixar and Sony, among others. Part of what Drew tells students is to really appreciate the time they've got living under their parents' roof, when they don't have to pay for housing or food. "The goal is to waste no time," Drew says. "Consider that free time. If you put that into your passion, whether that's art, or silkscreen shirts, or video game design, waste no time." If everything goes as planned, he hopes to mentor as many as 20 students per year and help them work toward showcasing their ambitions and talents in Spokane. And if the card game is a success, he plans to donate his proceeds to the nonprofit that would need to run the new facility. "Really, the incentive is where is your imagination going to lead you?" Drew says. "In high school, I created a product, and if I had had more access to an incubator or mentorship, I might've been able to take that further. I basically want to offer that resource here."